Baseball, hot dogs, apple pie and Chevrolet. That line from this 1970s ad for Chevrolet exhibits the brand’s position as an American icon. Fast-forward several decades, and General Motors’ Chevy is still an iconic American brand. Meanwhile, in China, the Chevrolet brand is still young. Chevy is China’s seventh-best selling brand, although two models, the Cruze (sold in North America) and the Sail are strong sellers. While Chevy is still catching on in China, another longtime GM brand from the United States holds popular: Buick. You may be asking yourself: Buick? Isn’t that the car for old people? Not so the case in China! In 2013, four times as many Buicks were sold in China than in the U.S. Nearly 810,000 Buicks were sold in China, compared to over 205,000 stateside. What explains Buick’s popularity in China? The answer is rooted in the early 20th century when important Chinese government figures such as president Dr. Sun Yat-sen, premier Zhou Enlai, and emperor Pu Yi either owned, drove, or were driven around in Buicks. This historical background adds to Buick’s image of upper class and prestige. Their advertising uses images of success to propel Buick to a high-end brand, such as in this Buick Excelle ad from the 2000s. GM isn’t the only American automaker popular with the Chinese. 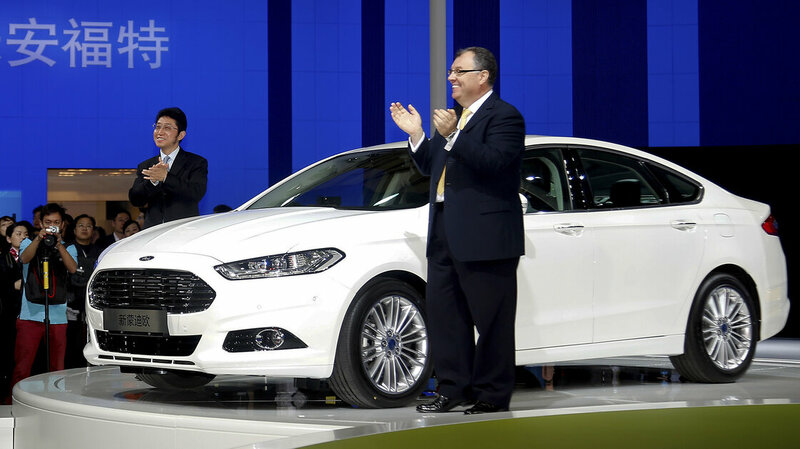 Ford’s sales in China rose 49 percent in 2013, and the Ford Focus was China’s best-selling car that year. NPR interviewed 32-year-old Li Ning, who said he bought a Focus because he likes its muscular American style. In China, Ford is establishing its image as young and trendy. Auto China 2014, the Beijing International Automotive Exhibition, kicked off on April 20th and runs until April 29th. At Auto China, Ford is introducing a luxury brand familiar to Americans—Lincoln. Lincoln’s model of selling cars in China is called “The Lincoln Way” and features luxurious showrooms that feel like a five-star hotel. Lincoln plans to focus on building customer relationships by understanding and fulfilling their needs. Lincoln may bring this style of personal selling to the U.S. based on how it works in China. Only time will tell if Ford’s effort to introduce the Lincoln brand to China will be a success. Will it become a competitor to Buick, which is already established as a strong luxury brand in China? Are there other ways in which this is an example of globalization? In America almost every person is either a Chevy or Ford person, there is not an in between. This favoritism usually comes from deep family roots, which ever truck your Grandfather drove is now what you drive. When expanding to a new market, especially one that is as modern and technology savvy as China, it is easy to get the younger generation interested in Buicks. The Buick brand is a new brand to the people of China and can be seen as modern, new and luxurious three things that the younger demographic is all about. I think that if Ford is able to market the Lincoln brand as new age and equipped with latest technology then they will be able to move into the Chinese market with much success. It’s so true how Americans really value their car brands! It looks like consumerism has increased in China in recent years, and now American automakers are jumping on the chance to increase market share and brand loyalty there. 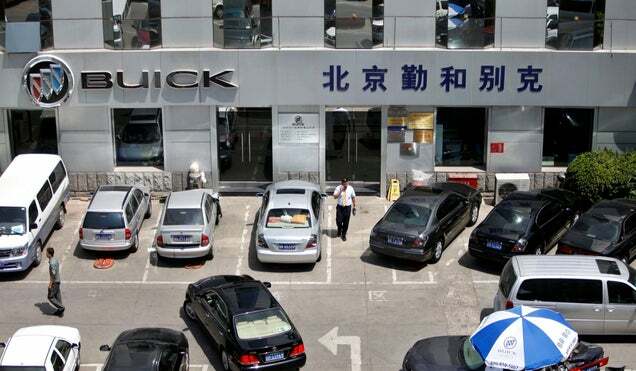 For Buick and Ford to be regarded as brands for a younger generation in China is intriguing. In the NPR article about Ford linked to above, one 24-year-old consumer believes Volkswagen is for “people over 30” which is a huge contrast of opinion compared to in America. Look on UNCW’s campus and you’ll see plenty of students driving VWs! Merriam-Webster’s dictionary defines globalization as, “the development of an increasingly integrated global economy.” Therefore, I do think that this is an example of globalization. I think that it is interesting how trends are different throughout the world. I think American automotive companies, like Ford and Chevy, are implementing smart globalized strategies to endorse their products nationally. In most other countries America is trendy and modern. I think that eventually Buick will become the car of the later era in China like it is here. Especially with Ford being viewed as “muscular,” it has already set the tone for the future automotive consumption there. I find it fascinating that Ford’s sales in China went up 49% in 2013. I wonder what Ford has done to set itself apart as a brand in that market. It is also interesting that Buick’s became popular in China as a result of important Chinese government officials driving them around. That definitely helped to establish their brand credibility early on. The ad for the Buick Excelle also illustrates how they are a prestigious, high end brand in China.